Beat This Caption Contest 47 – Caption Contest Funny Clever Witty Enter Today! 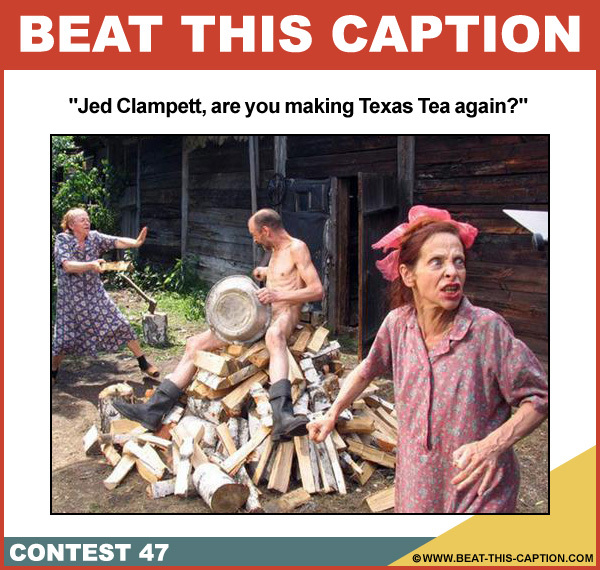 Jed Clampett, are you making Texas Tea again? June 12th – June 18th 2011.